My buddy Frank always drags a line when we go kayaking and he ruined a perfectly good trip along Shubie Grand Lake by pulling in this guy. Other than his line the water was almost perfect! 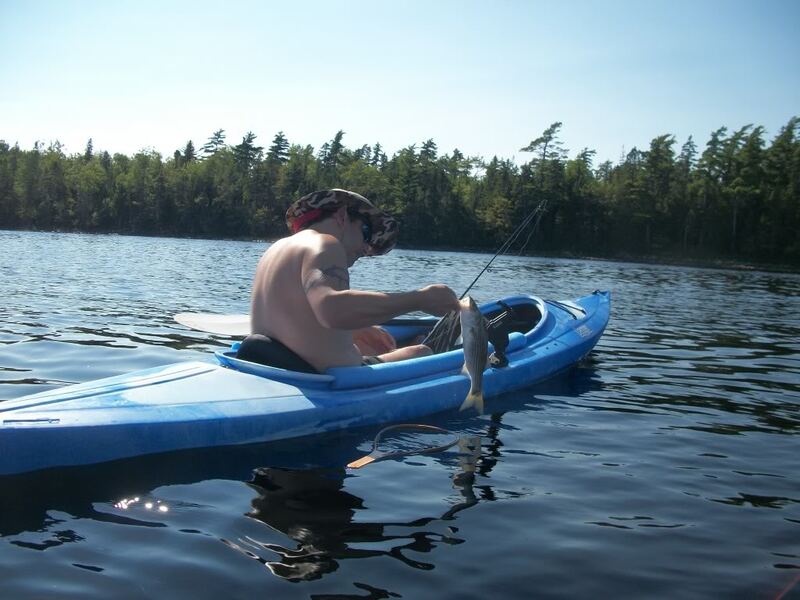 I think in all the time Frank and I have kayaked together this was only the second fish he's ever caught. 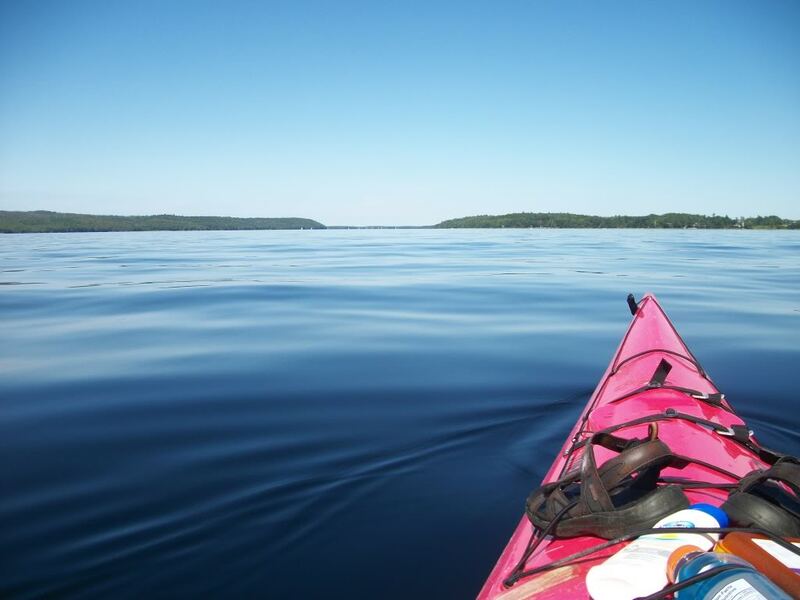 There is the gay pink kayak. I guess the new forums are official now- someone has made fun of my kayak! Real men paddle pink kayaks. And apparently, so do I. Except that it's actually red. Except that it's actually lightish red. Wtf tell me you guys aren't on the water ALREADY!? Please say these are last years pics, it's freakin' March! Yeah they are from last year, although with weather in the 20's last week I should have been.